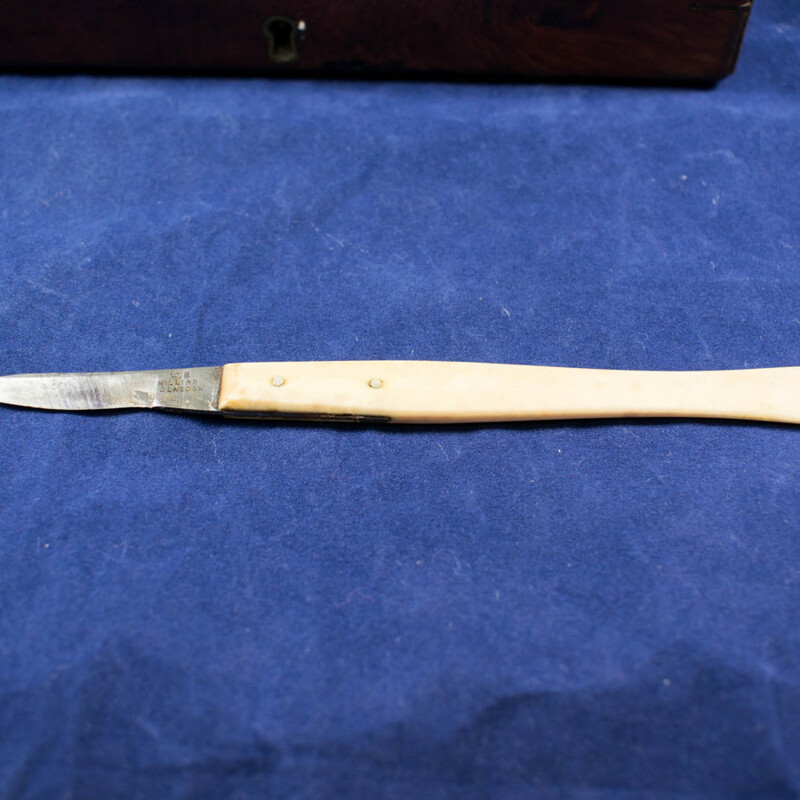 Scalpel, composed of ivory and metal, part of Dr. John R. Brown's ophthalmic instrument set. “Scalpel,” Heritage, accessed April 25, 2019, https://heritage.rcpsg.ac.uk/items/show/681. 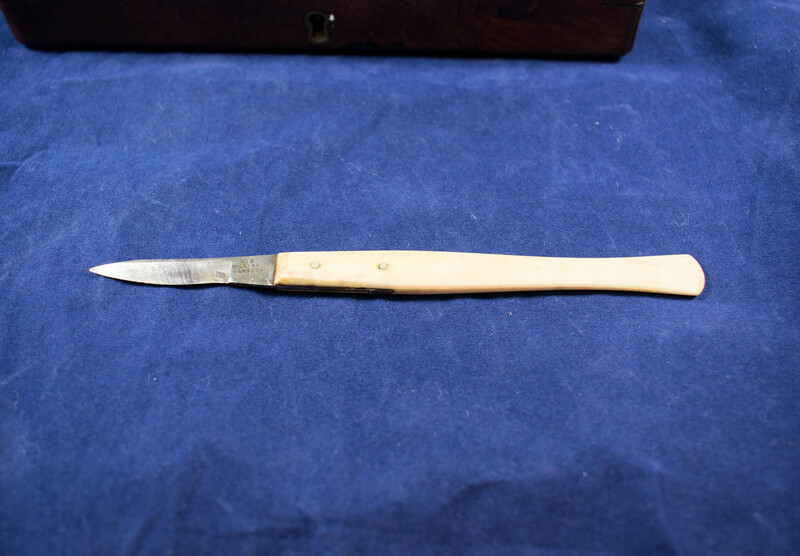 Description: Scalpel, composed of ivory and metal, part of Dr. John R. Brown's ophthalmic instrument set.